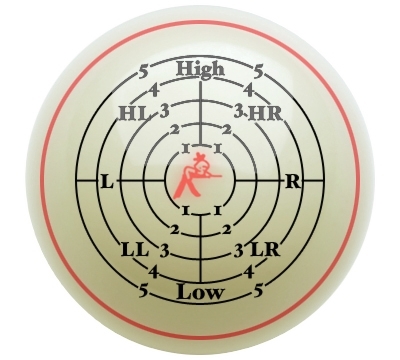 Only practice will improve your gamer, so learn how to practice properly with Jim Rempe's Training Ball. Jim Rempe's Training Ball will help you see where to hit the cue ball for spin (english), how to develop a better stroke, and how to optimize the rebound angle on the ball and cushion for a better position on the next shot. For beginning and advanced players. 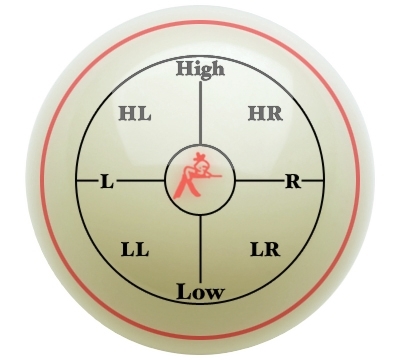 Includes a 2.25" Belgian Aramith cue ball with two different training patterns that are fully embedded under the surface of the ball to make them wear-resistant, and a 20-page Jim Rempe special Pool-Training Manual, with 13 detailed drawings to show you clearly how you can use the patterns to fully control the cue ball.